ISLAMABAD: A new report of the World Bank says Pakistan gets a poor economic return from its significant water resources, observing that the best use of water endowment is not made in the country. The economic costs from poor water and sanitation, floods and droughts are conservatively estimated to be four per cent of the GDP, or around $12 billion per year. These costs are dominated by the costs of poor water supply and sanitation, says the report titled “Pakistan Getting More from Water”. The economic costs of degradation of the Indus delta are estimated to be around $2 billion per year, while the costs of pollution and other environmental degradation have not been assessed. These estimates of economic benefits and costs cannot be directly compared or aggregated, but they demonstrate that the country gets a poor economic return from its significant water resource. The country does not make the best use of its water endowment and the water use is heavily dominated by agriculture, which contributes around one-fifth of the national GDP, but less than half of this is from irrigated cropping. Irrigation contributes around $22 billion to annual GDP. The four major crops — wheat, rice, cotton and sugarcane — that represent nearly 80pc of all water use generate less than 5pc of the GDP — around $14 billion per year. Other economic contributions from water are difficult to accurately assess, but hydropower generation is economically significant, with a current market value of $1 billion to $2 billion. 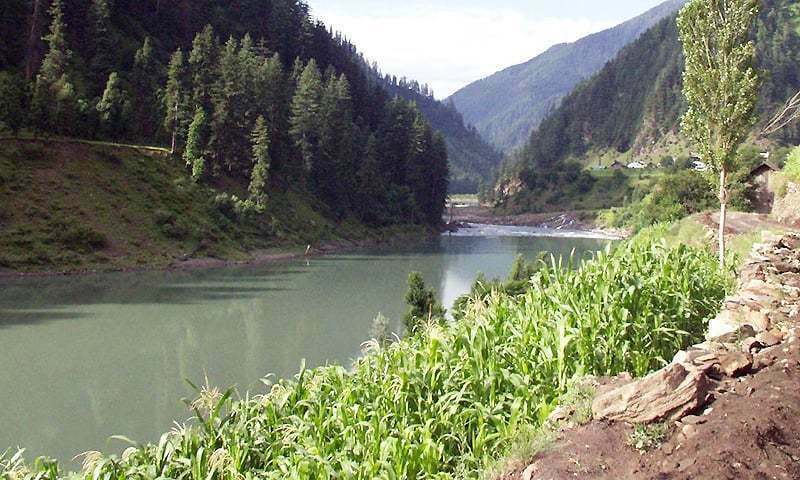 The report says scant attention is paid to the environmental outcomes from water and water-dependent ecosystems — rivers, lakes, wetlands and the Indus delta — are in rapid decline. This decline is characterised by biodiversity loss, greatly reduced stocks of freshwater and estuarine fish stocks, and a loss of other ecosystem services, including the storm protection afforded by coastal mangrove forests. Excessive water withdrawals and widespread pollution are the main causes of decline, but river fragmentation by infrastructure and changed sediment regimes contribute. 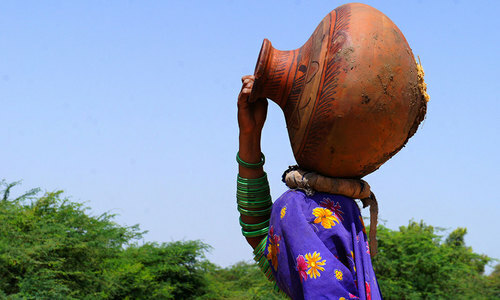 Water security is undermined by poor water resource management and poor water service delivery — including irrigation and drainage services — and domestic water supply and sanitation services. In addition, some growing, long-term water-related risks are not adequately recognised and are poorly mitigated. Water resource management is compromised by poor water data, information, and analysis; weak processes for water resources planning and allocation; environmentally unsustainable levels of water withdrawal; widespread pollution; and low water productivity in agriculture. Inadequate monitoring and data management prevent robust water resource assessments and accounting to guide water planning and management and prevents reliable flood and drought forecasting. Water resources planning has historically focused on supply augmentation and has not addressed sustainable resource use or been linked adequately to broader economic planning. Although provincial water shares have been formally defined, they have been demonstrated to be economically suboptimal, and there is insufficient clarity on risk sharing during times of acute scarcity. These deficiencies are expected to become starker with increasing water demands and climate change. Water resources management does little to protect water-dependent ecosystems either by way of environmental flows or pollution control. The report points out that no formal mechanisms exist within provinces for reallocating water between sectors to match shifting demands or to cope with extreme drought. Irrigation water allocation is suboptimal in terms of efficiency, equity, and transparency, contributing to the low productivity of irrigated agriculture and causing a lack of trust between farmers and service providers. Irrigation service delivery is poor and contributes to low productivity. Hydraulic efficiency of water distribution is very low, and water delivery across command areas is inequitable. Irrigation services are not financially sustainable and financial performance is declining. Service tariffs are set too low and are decoupled from service quality, and the operational costs of service providers are far too high. Climate change is the biggest longer-term and currently unmitigated external risk to water sector. Climate change is not expected to greatly alter average water availability over coming decades, but inflows will become more variable between and within years, increasing the severity of floods and droughts. Climate warming is expected to drive water demands up by 5pc to 15pc by 2047, in addition to the demand increases from population and economic growth. In the upper Indus Basin, accelerated glacial melting will increase the risks of dangerous glacial lake outburst floods. In the lower Indus Basin, sea level rise and increases in the frequency and severity of coastal storms will exacerbate seawater intrusion into the delta and into coastal groundwater. In coastal Sindh, this will further degrade groundwater quality, ground water dependent ecosystems, and irrigation productivity. A careful assessment of all water resources, drawing on a range of data and past studies, suggests that the current total average annual renewable resource is 229 billion cubic metres (BCM). Only 4pc of this is outside of the Indus Basin. There is no single simple solution to address water security. It will take concerted effort on many fronts by all governments and water users over many years. Large infrastructure gaps must be addressed, which require significant financial resources. Provincial-level water sector financing has increased in recent years, but federal financing has declined significantly in proportional terms. Collectively, sector financing is well below the recommended levels. This is the case for major infrastructure, reforms, and insti­­tutional strengthening; urban services; flood mitigation; and environmental management. The biggest challenges, however, are ones of governance, especially regarding irrigation and urban water. The governance challenges relate to inadequate legal frameworks for water at federal and provincial levels, and the incompleteness of policy frameworks and the inadequacy of policy implementation. The policy deficiencies stem from institutional problems, including unclear, incomplete, or overlapping institutional mandates, and a lack of capacity in water institutions at all levels. Dont worry. Sindh gov will dry out our rivers and make that land to be distributed amongst the poor politicians and land grabbers of Sindh. After all, us Sindhis will eat mud and dust which is excellent for our healths...especially sewer water. And they want more of our water!?!? We need to turn this scenario around by properly investing in our natural resources, maximizing our potential and improving our GDP. Such reports should be used to highlight and improve our situation. Learning and improving is the only way forward! And you blame India for your water shortage problems. Like living in denial solved your previous problems as well. And then blame India for stealing water. Don't worry! Once the CPEC is completed water problem will be solved. What a shock. Was there anyone who did not know that? Remind the prime minister. this is the same world bank that has shown itself to show itself to be pro India. meanwhile we spends tons of money to fight with India to protect our water rights to waste water from the Indus tributaries. Pak will waste water but still accuse India of stealing her share. First try to build some dams before asking water to waste. And still we elaborate more on making expensive and unnecessary dams rather than concentrating on efficient distribution and water management system. Bad policy and incompetecy is evident. Zardari and Sharif mafia destroyed this country and it's institutions. The looted Pakistan's national wealth like there was no tomorrow. It is now very clear that the solution to all your water problems is in your hands. Time to come up with some solution yourselves. 2040 Water-Stress country rankings (high stress to low): Pakistan-23, India-40, Bangladesh-139. 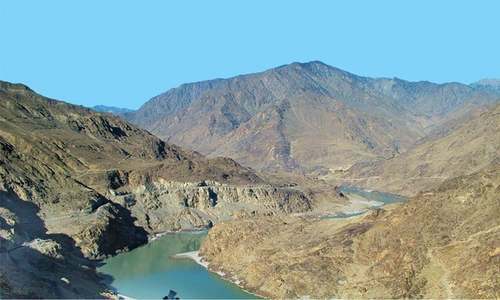 It is good that finally some organizations who are responsible for environmental degradation of wetlands, lakes, rivers and delta - through their own reckless, so called infrastructure development projects in Indus Basin, are now realizing the damage and putting some dollar-values to degraded environment. Such reports are the first step to steer our course in the right direction. Appoint an expert to head water management not cronies like in the past. Don't blame the neighborhood. Conserve water for the future generations, or else get ready for desertification of provinces.